Lisa has been practicing yoga for the last 15 years and has been certified to teach for 3. She trained with world renowned Jimmy Barkan in both Hot Yoga and Vinyasa, levels I, II and III. Always active and on the go, Lisa found yoga while recovering from 4 herniated discs as a result of 3 decades of running. 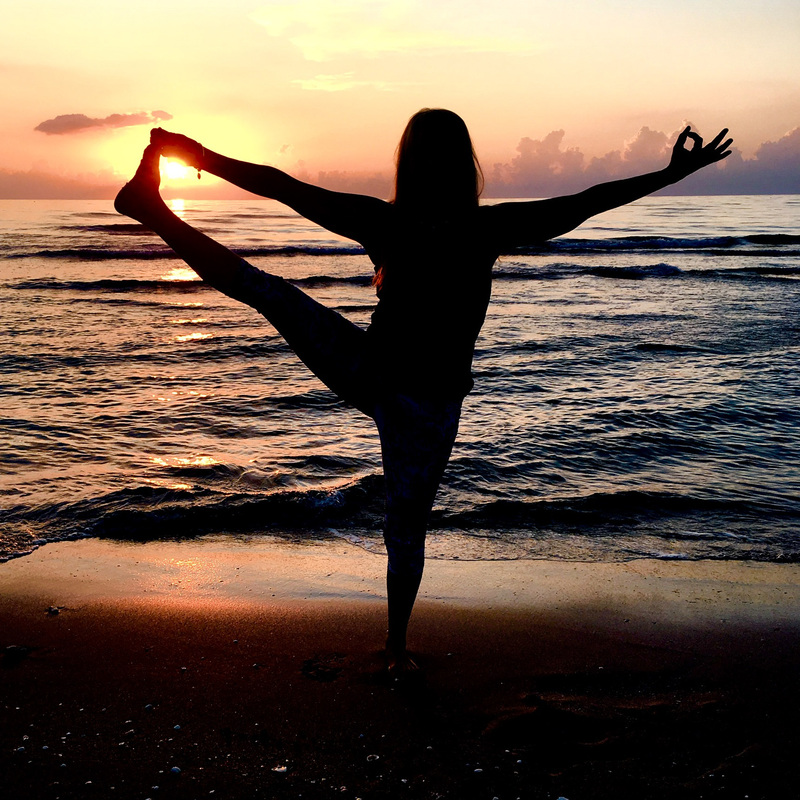 She discovered that Hot Yoga led to mindfulness and strengthened her core. Subsequently, she avoided future injury by moving from a place of center and strength. Lisa felt so strongly about the benefits of yoga and practice that she wanted to share it with others. 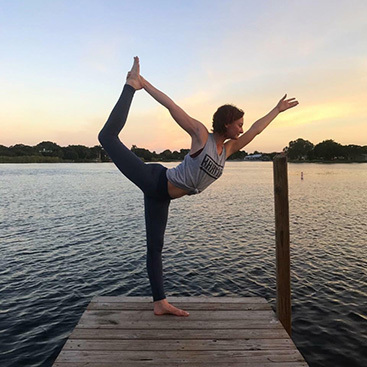 Passionate about all aspects of yoga, Lisa has developed a large student base in the South Florida Community, leads yoga retreats and charity events in the community. Lisa is grateful to share her passion with others so they can witness the multiple benefits of yoga on and off the mat. Expect to breathe, move, and smile in all of her vinyasa and core classes. Jules Lindsay began practicing yoga in 2000 when she was finishing her BA in clinical psychology. She discovered the profound healing power of yoga as it helped her get through medical issues she was told she could not overcome. Her gratitude for yoga led her to teach and share what she had found. A strong believer in tailoring the practice to the individual, Jules encourages each person to listen to the body and become his/her own teacher. Her teaching career began at the Yoga College of India in Boca Raton and continued on to various studios where she taught Bikram Yoga from 2002 to 2004. As she recognized the importance of variation and modification, Jules became (200hrs.-RYT) certified in 2005 through Yoga Alliance training with Jimmy Barkan in Hot Yoga where she found a connection with Phillip Christodoulou and inspiration from the Anuttara Yoga method. She completed training for Hot Vinyasa levels I, II and III (500+hrs-RYT) and went on to teach at Yoga Connection, Ft. Lauderdale Yoga College of India, Hot Yoga of Coral Springs, Hot Yoga of Delray and Anuttara Yoga Shala, Yoga Aura, American yoga, Barkan Method of Boca and Awaken Hot Yoga. Her teaching is inspired by Bikram, Barkan Method, Anuttara, Hot Fusion, Anusara, Ashtanga, Iyengar, Jivamukti, Vinyasa, Power and Yin Yoga. Jules has continued to train in workshops and intensives including her (500hrs.-RYT) training with her mentors, Judy and James, at Yoga South, which has given her a deep insight into the anatomical and physical assisting aspects of the practice. She is also certified in the Second Degree Reiki method of natural healing through Revs. Robin Garfield and Randy Hamlin. Jules has led Yoga retreats at Pura Vida in Costa Rica, where she will be hosting more on a yearly basis. She is also working on her LMHC at FAU in hopes of incorporating Yoga and counseling into her healing approach. Jules’ upbeat, compassionate attitude and energy help students on all levels connect with their practice and bring the peace, clarity, and intentions achieved on their mats out into their daily lives. “Honor your level with full acceptance, humility and gratitude, go within, and free your mind, body and spirit on your own yoga journey”. And don’t forget about her happiest mentor, her faithful sidekick, Buddha. ~ Buddha Yoga; All Paths Lead to Love. As a young athlete, I was constantly in competition with myself and/ or another. On the mat initially, I challenged myself physically but found the real growth happening when learning to find the balance to surrender. Already living a pretty mindful lifestyle, the asana was the link to experiencing that sensation of connecting the body, mind and spirit- and I wanted more! Deepening my practice and knowledge, I completed Level 1, 2 and 3 training with Jimmy Barkan within the same year. I now encourage students to use the time on the mat to give back to themselves as a whole: challenging the body to advance, but also nurturing the body; maybe challenging the ego. I believe the physical practice is a tool to see your true self- and the reward is enjoying that same self off the mat. My classes are fun, dynamic, playful and mindful. I love to explore, try new things on and off the mat. Traveling is one of those enticing things. While visiting other places, I hosts workshops, play shops and Glow Yoga events. At home in South Florida, I teach throughout the community and hold scheduled classes at both Barkan Method studios. Frannie is ever thankful for the path of yoga. She believes in yoga's power to heal, strengthen, and bring balance to life as she is experience this first hand. Her classes are energetic, creative and flowing with transformation at the heart of her teaching. 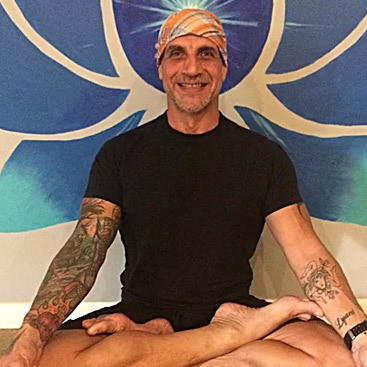 Frannie's training includes: Barkan Method Hot Yoga Levels 1,2 &3 with Jimmy Barkan, Yin Yoga with Tammy Heckman, Connected Warriors with Judy Weaver, Connection Coalition with Jodi Weaver and Vinyasa Hot Yoga at Yoga Haven-London/Morocco with Allie Hill and Toni Roberts. Frannie is a Barkan Method 500 Register Yoga Teacher (RYT). "Deepest gratitude to all of my gurus and teachers, Namaste. ease injuries. Her music playlist are lots of fun with familiar songs. Namaste!